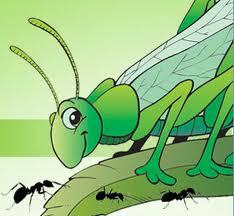 Virtual Results to offer Happy Grasshopper Automated Email Service to all clients. Virtual Results newest feature is the partnership with Happy Grasshopper. This will allow VR clients to engage their sphere like never before. Adding Happy Grasshopper service to the Virtual Results offering enhances VR clients internet marketing plan seamlessly and effortlessly. As each VR website generates leads, new contacts can be added to the existing mailing list easily and each email is carefully crafted by Happy Grasshopper. With an average 29.3% open rate, effectiveness is guaranteed. In addition, VR and HG has made it plain simple to get started. Simply send us a client email list. Virtual Results and Happy Grasshopper will do the rest. To learn more about Virtual Results websites, please contact 888.99.RESULTS. Virtual Results Clients get started today!! simply Fill out the simple form below!